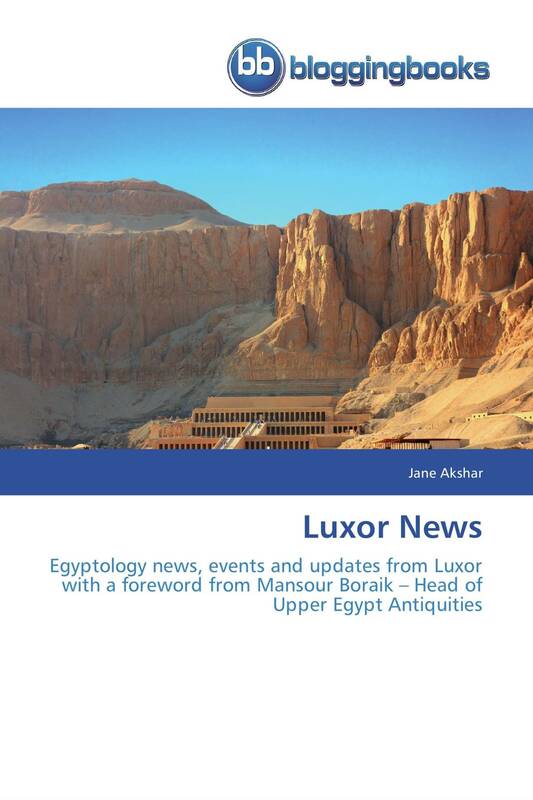 Luxor News contains everything that happened in the Egyptology world, original lectures, site visits and discoveries in Luxor, Egypt. Jane was there when KV63, the first discovery in the Valley of Kings since Tutankhamen, was discovered. She tells of the rumours, the announcement, the first lecture by Otto Schaden and subsequent updates. Visits by special invitation from Mansour Boraik to Sphinx Alley discoveries, Myriam Seco Alvarez to excavations at the temple of Tuthmosis III, Francisco Martin Valentine to TT353 Senenmut, Andrzej Cweik to the temple of Queen Hatshepsut, Elena Pischikova to the South Asasif are all recorded. What was the human story behind the eviction of the residents of Gurna from the tombs. Read her notes on the lectures held in the Mummification Museum by Salima Ikram, Ray Johnson, Francesco Tiradritti. Lastly what was the real impact of the Egyptian revolution in Luxor and the Egyptology world. If you love Luxor and Egyptology you will love this.